Do you work for ShipStation? Import, manage & ship your orders with ShipStation, the #1 choice of online sellers. We integrate with over 150 of the most popular marketplaces, shopping carts, & carriersplus, you can have as many selling channels & carriers as you need. With ShipStation you get: up to 40% off USPS rates & 29% off FedEx rates; the Branded Tracking Page & Returns Portal; customizable automation rules to prevent errors & cut your shipping time in half; an easy-to-use interface; a totally free 30 day trial! Learning about ShipStation? We can help. "Totally worth it if you're just starting out or have a small business"
"The Most Versatile Parcel Shipping Software Currently Available"
The ability to use .csv files to bulk upload orders. There is also an API feature to connect your website to automatically filter your orders into Shipstation. Automation rules also work very well and there is an accurate inventory system as well as a variety of logistics and sales metrics available. Being able to batch orders is also a huge plus. Our company has to use another portal to process freight orders. I know it is a big ask, but it seems that Shipstation is so close, yet it would be a bit of work to get this together. Also I don't know how big the customer base would able to use both freight and parcel, but it would set Shipstation way ahead of the competitors if this were also available. Shipstation is very easy to use, whether you are hand entering orders, bulk .csv uploads or using API's to populate orders. There is a learning curve to increase productivity, but there are definitely FAQ's and resources available as well as reps that are listed right in your Shipstation portal. I am able to reduce the amount of hand entered orders every day from 85 percent hand entered when I started using Shipstation to about 5 percent. That saves me at least 4 hours of work on high volume days. "Helpful features for managing complex orders"
Some of our orders include items that won't ship for weeks as well as items that need to ship immediately. In addition, we have some orders that include things that we fulfill and that our partners fulfill. ShipStation includes tools that help us manage those. The search function covers all fields. The batch printing process saves times, and they give you the option of printing a combined label and packing slip on one sheet. We're pleased so far, and just need to spend more time with it to take advantage of some of the automation rules. As with many other shipping providers, ShipStation enables you to pull in orders from many different stores. Right now we only sell on Shopify, so that's not something we've needed to use. As indicate above, some of our orders include items that won't ship for weeks as well as items that need to ship immediately. In addition, we have some orders that include things that we fulfill and that our partners fulfill. ShipStation includes tools that help us manage those. "Learning Shipstation has been much easier than expected!" I like that shipstation is easy to navigate. It is simple to use and it provides reporting and straight forward ways to handle every scenario. I am unable to add one shipper that I use occasionally, but I don't think it is shipstation's fault, I think it is the shipper who isn't available on shipstation. I would highly recommend shipstation to anyone needing to ship. It keeps track of how long an order has been waiting so you can prioritize and get your shipping times as short as possible! It prints great packing slips and is easy to void a shipment. Labels print easily and I like that all of the carriers are in one place. Rates are shown so I can make the best decision for the company and there are several other features I enjoy like tagging orders, so when multiple people are using it at different times we are all on the same page as to what has been done and what is yet to be done. Being able to choose the best carrier for the shipment. I realized the reporting just the other day and was able to pull a report of shipping paid vs shipping cost which will help us out greatly as we determine the best shipping prices for our products. "ShipStation makes complex shipping situations straightforward"
The best feature of ShipStation is how well it combines shipping from multiple channels shipping with two different carriers. We use ship station to combine shipping from three different eBay channels and two different eCommerce stores. The setup wasn't difficult and it imports and ships with our different settings beautifully. Before ShipStation we spent over twice as much time shipping the same amount of orders. The biggest down side that we've found in ShipStation is customer management. If a customer orders from different channels, ShipStation will create a duplicate customer for them. This isn't that big of a deal as they are a shipping manager and not a customer manager, but it's a little frustrating. ShipStation has streamlined our shipping operations for 5 sales channels and has cut our shipping time in half for those. It has good customization features and we can flag orders based on criteria we set. It's easy to use and yet has many options available for more advanced usage. We currently only have it connected to ship with USPS and FedEx, but many more shipping options are available. Shipstation keeps all of our orders organised by easy to use tabs. Orders, Shipments, everything is easy to find. When I need to locate and re-print a shipping label, it is simple. It is right there for me. It is a very easy to use, straightforward program. The most fun aspect is that I can see our top 5 most valuable customers based on their orders, and that I have a list of all 610 customers! I also love that I can track which of our products is selling the best, and see which we might need to promote more. Oh, and seeing what percentage of sales we are at versus last period is very cool. It really helps me visually see the progress we are making with online sales. There isn't really anything that I dislike about ShipStation. It can be a little annoying that only one person on the team can be logged in at any given time, but other than that I find Shipstation to be easy to learn, and simple to use. It's been incredibly helpful to see which products are trending or doing the best, versus which products we may need to promote more to get sales up. I like that we can immediately see who our best customers are, rather than searching through thousands of orders. It makes it very easy to reward our highest spenders. "Easy to use and good analytics"
We can only have one person logged into Shipstation at a time. If there's a way to create multilple users, then it's not easily found. We're using Shipstation for now as a way to track inventory and also for analytics. For example, Squarespace won't tell you in its analytics the number of units sold of underperforming SKUs - it lumps them into an "Others" category. So, Shipstation is our go-to now for this. Also, we love that Shipstation has great search functions and integrates seamlessly with Squarespace so we can easily access customer info. "Import order management, from different websites." ShipStation is a tool that works well to manage all types of orders from different websites, integrating them to a single platform, where you can manage and manage all kinds of details about the purchases that must be made, programming the different import processes that they want to carry out, something that I love about this application is its ability to link with different websites that work internationally, in addition to the providers that can be added manually by their emails, this system also has a medium to link different carriers or shipping companies, national and international, to automate these tasks, which greatly reduces working time. The final reports can be a little more detailed, for example the details of the order, can be more specific, as you need to add or modify this information, since some clients are quite demanding in this process, and need as much as possible. information about your products, and it would be ideal to send them all in a report generated by this application, without the need to use other type of office software, it could also offer a better and more varied information in the sales trends section, to understand a little more news that is currently being handled in the market, in the type of industry in which they are working. With this system, there are many tasks that can be automated in any business that works with imports, in our case in particular, having all the stores where we make purchases, always available, is something that saves us losing a lot of time, besides this, you can manage all the orders, by this means, which avoids additional work hours, the other point is the timing of the shipments, something in which we lost many hours, and now only in a couple of minutes we can make shipments to everyone, with different carriers in a fast and simple way. "Don't know how I lived without it"
This allows me to compare all of the different carriers and view all of my marketplaces in one place. I do not know how I operated without this service. One time it went down for half of a day and it took me 10 times as long to process the shipments during that time than it normally does. I used ShipWorks first and switched to ShipStation and love it! It gets slow during peak times which is unfortunate. Another downside is that it is very reliant upon the marketplaces and at times it can be glitchy when there are problems on those marketplaces. Yes I recommend it to everyone that I talk to that sells online. It helps me compare all of my carriers in one place allowing me to ship using the most efficient and least expensive option for what I need. The main benefit is that we get the best option for each order. ShipStation is the best all in one shipping solution for new ecommerce businesses and veteran operations alike. The ease and simplicity of importing orders and shipping with multiple carriers makes it perfect. The customer facing tracking and returns operations are superb. The only thing I dislike about ShipStation is that there isn’t a direct customer support line but our onboarding specialist has been a great direct contact. It is definitely worth your time to try ShipStation. The 30 day free trial is perfect to give all the features a whirl! ShipStation allows us to track inventory, incoming orders, end to end shipment status and customer insight information, all of great value to our new business. The branded customer facing pages really enhances our business. "ShipStation transformed our business in a very positive way." ShipStation gathers all our orders from multiple web sites and allows us to manage shipping and tracking from one easy to use platform. It integrates to all key shipping companies. It integrates to QuickBooks. It supports automation rules for prepopulating packaging and shipping service details. It has a fully featured interface on a PC and very functional mobile apps on iPad and iPhone. It is hard to be critical in any way. I use Edge and some of the icons for closing windows sometimes are hard to activate and take several tries. I depend on ShipStation every day and it does not let me down. It is worth every penny I pay. We manage all orders for shipping label generation (FedEx, USPS and USPS International- Canada), tracking email generation, order status management and order history. Our packaging varies from polyester envelopes to large boxes. We could never have expanded to our current volume without ShipStation. We have been able to keep shipping errors to near-zero. "The best solution for your commerce business"
Shipstation is literally the place where shipping happens. You can connect in the same place all your websites and e-commerce and see your orders coming from your smartphone. Shipstation gives to anyone freedom of managing a business in a precise and professional manner. No more mistakes for address copy manually and constant control of shipments and eventual returns. Sometimes it is not really simple to correct an error or cancels an order. It takes a while to fully understand the system but once it is in place anything can stop it. One area of improvement is about the international shipments. In fact, invoices and custom papers do not come out automatically and sometimes this process is confusing and creates mistakes. Import and export data from the order page sometime is not that fast and the amount of info is most of the time useful. Shipstation is a major help to manage e-commerce account, pick the right shipping methods and have immediately quotations about shipment costs and delivery time. Clients have been notified immediately that a label has been created for their order. Shipstation helps me to keep track of daily sales, collect address from clients and prepare and labelling order s from multiple e-commerce platforms. Moreover, thanks to its labelling system it helps me also printing slip package. For example, my company is able to import multiple contacts that automatically generate an order on the system simply importing a CVS spreadsheet saving time and possible errors. "The complete solution for our ecommerce shipping needs"
Seamless integration with the sales channels we need. Affordably priced for a small business (less than 500 orders a month average). Saves our shipping team a significant amount of time during peak seasons and gives our customer service access to all relevant tracking information. I'd prefer if I could set universal branding and settings for all stores instead of having to customize them each individually. Otherwise, so far so good. We're still a new user and have a lot to learn on its customization features. Reduced copy / pasting for our shipping department, customer service has better visibility on status, as do the customers. I'm sure this will also reduce shipping errors as well. "Shipstation has saved our life with shipping logistics and shipping management"
It integrates with both our Shopify and Woo commerce stores. It has an API that lets us bring in custom fields, and their customer service is PHENOMENAL. I also really like their dashboard and the ability to see different layouts depending on the user. The only thing I wish is that it had been easier to setup custom field integration. IT would have been great to rename the custom fields and have an easier time of bringing in custom data. Shopping, shipping management. We can track everything so much easier now, and all in one place. The ability to batch shipments and import mass orders/shipments from an excel file has also been an extreme life-saver during the busy season. 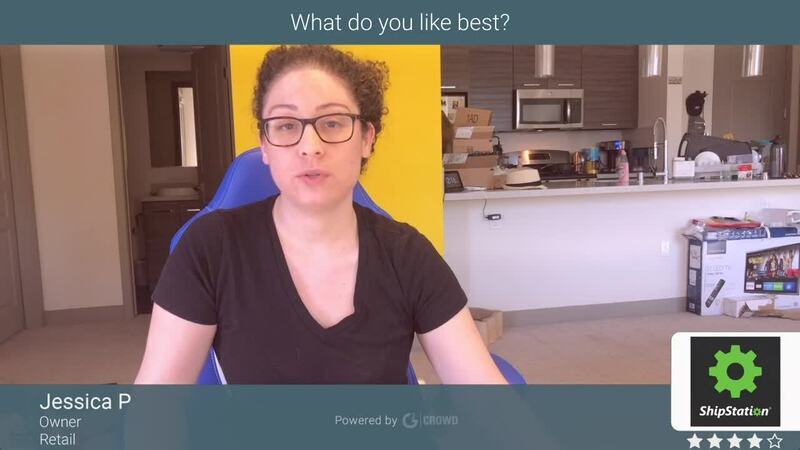 "Perfect for small online businesses selling through multiple channels"
Give it a try, it will most likely fit the bill for what you need if you are selling with multiple channels. Even if you are only selling with one, it makes it really easy to get set up with others and get going. The ease of functionality is really intuitive, just the user interface could use to be cleaned up. It just seems a little clunky. Overall, I would say for anyone that sells on Amazon, eBay, Etsy, Squarespace, Shopify, or many others this is going to be a perfect option for you. I don't believe this will be able to stand up to some of the others when you are scaling larger, but for smaller online businesses, this will do the trick. There are too many great features to name just one but the ability to flag and map orders is definitely a stand out. This feature really gives you the ability to use carrier shopping to it's fullest potential. If you have a product line with multiple similarities (size, weight, service) mapping makes quick work of assigning the carrier service and printing labels. These features have allowed us to double business YOY without adding additional labor. It would be great to have more flexibility on tagging customers. Most online business have a need for flagging on the customer level for marketing purposes. The lack of customer flagging for information like LTV, first time customer, membership, etc. makes it hard to include targeted marketing in outgoing packages. Implement this solution in conjunction with you carrier. I recommend contacting your carriers to make sure all services you desire will work and display proper pricing within ShipStation. Also, for any startup ecommerce sites that don't have proper backorder functionality you can use the split order and on hold functionality to hold items that are on backorder until you ship without holding other SKU's in stock that are on the same order. Our biggest benefit is the ability to scale without adding labor resources. We can easily fluctuate the amount of shipments during peak periods without increasing shipping staff. This has allowed our profit margins to go up significantly for the year. This is can be realized for a lot of eCommerce sites especially those that have a smaller catalog that doesn't require a lot of picking time on the floor. This program works seamlessly with my Ecwid website. Once orders are placed, they sync with ShipStation and I can print labels effortlessly and with a discount from regular retail prices. And at $9 per month, it's definitely cheaper than using Stamps.com. Save money and try out ShipStation. You can get a free 30 day trial so there is no risk. I can keep track of all my shipments to clients and save time by not having to type everything in thru another site. This obviously saves me time. And time is money! "Probably the Most Robust Shipping Solution." Shipstation has worked to connect with about everyone. The reason that we chose them is that they connected with both our sales channels as well as our back-end systems. The connections have worked very well with only minor issues. I recently found out that Shipstation is owned by Stamps.com / Endicia. It seems that the acquisition by Stamps.com of both Endicia and Shipstation has created a bit of a monopoly where Shipstation is not adding any additional USPS vendors that might provide more competitive rates. In addition to connecting and communicating with both storefronts and inventory management systems, ShipStation lets us quickly compare rates between services and shipping companies to find the best rate for each package. It organizes my orders from multiple channels so I can see the urgency of the orders. I also love how I can go in and add manual orders, change customers' addresses, set up shipping profiles and ship in bulk, which really speed up shipping process. Very good sales and shipping stats too. I mostly ship via USPS, but it's helpful that shipstation allows me to add UPS and FedEx to my account too. web based program. Sometimes the "shipstation connect" acts out and takes time to connect. Sometimes I have to restart the program or sometimes the computer to get it to work again. If you don't ship a lot, Endicia is probably enough for you. But if you ship over 200 packages a month, shipstation will speed up and organize your shipping process and I highly recommend it. Until Shipstation we were using multiple platforms to fulfill (eBay, Shopify x 3, Walmart, etc. It was getting out of hand. Shipstation has saved us. It is reliable, fast, and the consolidation and simple workflow has saved us a huge amount of time and improved our fulfillment quality and turnaround. Love, love, love Shipstation! It makes my job so much easier. I highly recommend. ShipStation is inexpensive, works well, and offers excellent support. If you are looking for a service that will allow you to create shipping labels for your online orders, ShipStation really can't be beat. The product is very easy to learn and use, even across many users, while also allowing some really nifty if-this-then-that behavior with a rules engine. It's really slick. There are a couple features that ShipStation users have been requesting for a long time (read: begging for), and ShipStation still hasn't released. One that comes to mind is a scan to pack feature that would build scan verification of UPC right into the UI. As our order volume increased, so did our shipping errors; scan pack was a feature we wanted desperately. ShipStation tracks requested features on the feedback.shipstation site. The scan pack feature is their most requested item, currently with 566 requests at the time I'm writing this review. I don't doubt their team is hard at work on other improvements to ShipStation core, but this is one biggie that users are asking for and would take their product to the next level. Definitely try a demo. We evaluated against ShipWorks and a couple other services and this was the clear winner. We were using really crumby, desktop based shipping software. It was slow and buggy and crashed all the time. Moving to a cloud based solution was one of the best things we did to improve the speed of our shipping process. ShipStation also helped us to tackle issues with overpaying or underpaying for postage. We were able to create rules that essentially predetermined the weight of a package without it having to be weighed, based on the contents. "Great software for online sellers, especially those who sell on multiple platforms"
Easy to use interface. Great mobile app. ShipStation imports all my orders from various online marketplaces and lets me ship all orders in one place. It does not track inventory. This is a feature that has been requested of ShipStation a lot. They recognize it and are looking for ways to approach it without risking existing relationships with 3rd party inventory tracking software services. Start with the lowest price tier and move up when needed. I used to log into each marketplace on which I sell and process all the orders separately. ShipStation cuts my shipping time to a fraction of what it once was. I like that it easily merges with our current website platform, Shopify, to make uploading tracking/shipping information simple. We use it to upload tracking information daily for all outgoing orders at one time. It's the only app we have come across that serves this purpose and works with Shopify. Once you use the interface a handful of times you get the hang of it and figure out which features work best for your needs. The interface has a ton of options which is both good and bad. It took a bit of time to figure out how to do the basics but once I did it was simple and straight forward. I also don't like that it doesn't seem to always refresh when you login. You have to refresh/re-sync to your Shopify order dashboard each time you login to make sure all your orders appear ready to manage. There seems to be some bugs from time to time but nothing that has been difficult to deal with. Make sure it merges with your company and platform. If you don't currently use a shipping company exclusively then this is a great option as well because I believe that they offer help with shipping. We are able to uploaded tracking/shipping information for several orders at once rather than having to go into each order and manually upload the tracking info. This is the first app that we have come across that offers these features for a reasonable price. ShipStation is probably my favorite SAAS that I use at work. It is so easy to use and so configurable, that it's really hard to think of not using. We use ChannelAdvisor, and, frankly, their orders interface is awful. It's not pleasing to the eyes, not intuitive, and not easy to use. When we discovered ShipStation it was like it was sent straight from Heaven. I know this sounds like a lot of smoke, but I we really do love it a lot. Probably, my favorite thing about it is the tags. They are unlimited and totally configurable. We use the heck out of them to code orders. Oh yeah, the price is awesome! I wish there was a way to use this for orders that come in through our website. Unfortunately, it doesn't hook up to our provider, so we have to keep tabs on that, separately, as well as print labels outside of ShipStation. Stop shopping. You found it! We connect to up to 6 marketplaces at a time with ShipStation. They all work seamlessly. Love it! "Great option for a start up e-commerce site "
I mainly like the user friendly aspect of the platform. It integrates with Fed ex and UPS, etc. There are templates that you can customize to have customers alerted with tracking info and when something ships. There is basic reporting on where orders have shipped and been fulfilled etc. I love how clean the interface is. I dont like that it is another separate platform that you have to log in to once an order has been placed on your site. I am using magento and shopify platforms so it just adds another step to the process. I also feel that the notifications are not as accurate as they could be. They seem to be pretty delayed that an order could be sitting there for quite some time. It is a platform that if you do not want to invest in a robust all in one system this is a wonderful alternative. Orders com in real time which is great so you never miss a shipment! I mainly ship using three different size custom sized boxes so it is nice that I can save the dimensions and all other information instead of having to adjust or re-enter them each time ! "Great shipping software, covers most of our needs"
Pulls in all orders requiring shipment. Easy to generate a pick list and packing slips. All the info is very easy to customize. You can also setup shipping and delivery notifications as well. Oh, and don't forget the cheaper USPS rates. We often have issues generating pick lists, especially on heavy volume days. I think it times out. Also, some of the feature requests are years old and still haven't been taken care of. Specifically the ability to have different printer options for International shipments. Kind of a no brainer and all their competitors have it. Sometimes it can bog down and needs to be restarted to get going again. Work on your really old feature requests. Users shouldn't have to ask for 4 years for a simple feature. Allows us to ship Fedex and USPS both International and Domestic with speed and ease. Shaved off quite a bit of time and improved the shipping flow after implementation. "Overall, a great deal. I do wish it had some pretty obvious features though..."
Overall, the app works seamlessly. We use it to connect clickfunnels with shopify and Amazon. So we have 3 different sales channels and they all stream seamlessly into one location. It helps us simply track everything. Shipstation believes that where the order originates is king, so there's no changes to the order allowed. It seems pretty obvious that this feature would be important. Definitely has worked for us, and I" would definitely recommend it to others too. IT also has an interesting "insights" feature, which has been very valuable to us as we make business decisions. We had no way to connect all of our sales channels without shipstation. And it integrates so easily with shopify, amazon, and clickfunnels that it really was a no brainer for us. "Solved all our shipping needs"
How easy it is to use, that we can integrate with our systems and that all our shipments are in one place. It's also reassuring that the addresses get verified so that we have fewer packages returned. Creating labels for packages is super easy and the reporting has streamlined our monthly reporting. Sometimes the address verification is very stringent. And some international addresses are not able to be confirmed. But otherwise everything else is great. We have daily shipments that before ShipStation were a burden. Trying to deal with multiple packages at the post office was time consuming. With ShipStation we have cut the time it takes to do this task by more than 50%. Being able to print everything in house and just drop it off has been a lifesaver. Incredibly easy to use and flexible. This system has all of the features that we need and a lot of customization ability. We continue to find more pieces of the system that we can use. Creating labels in the interface and through the API couldn't be any easier. There are automated rules that we can apply to save time for our users. Then we can apply bulk actions while we are deciding which warehouses will fulfill our orders. The remote printing function has made it easier to operate with in house fulfillment centers and drop ship locations. Limitations to custom store integration could be better. Specifically there are fields where we are required to call the API in order to get information on orders that we shipped. It would also be nice to have more insight into post shipment status. Right now that is difficult to view on a macro basis so we use a program called aftership for post order updates. Buy it today. It's the best on the market. We vetted a lot of systems before choosing shipstation. Their software and support are the best out there and the costs are very reasonable. They allow us to create shipment labels incredible quickly and easily. "Nothin' but Love for SS"
Anyone looking for an efficient, dependable, easy to use shipping software will find ShipStation a dream come true. I recommend SS to all eCommerce start-ups because it will get you going and stay with you as you grow. Great tool! "Great Shipping Tool for Small Business"
One of the best interfaces I've used. Intuitive. ShipStation connects to a huge number of ecommerce and warehouse systems. It is easy to use, has tons of features and they are constantly making it better. I've used a lot of shipping systems and this is one of the best! I have to think hard to come up with a dislike. The only problem I've had is the ShipStation Connect tool which I use on a Mac to connect printers to ShipStation directly has to be closed and reopened a few times a week. No big deal though. ShipStation is the least of my worries when it comes to running an ecommerce business. It it the tool that gets the job done fast and easy. I just don't have to worry about it! Love that! Quick and easy shipping that integrates easily with our ecommerce site. Not much to dislike, it keeps being updated and improving all the time. Reporting is good but could be improved a little. Give it a try! It's been a great fit for us. It is the only solution I found that easily integrated with our website downloading orders and marking them as shipped automatically. at this moment there is nothing i dislike about this company, as far as my needs its perfect! Has everything i need and that i could ever imagine. I had many issues when shipping my packages since i had to do everything manually, with ship station everything works automatically, from sending a customer a shipping confirmation directly to syncing all my orders in once. "Why ShipStation has been an awesome tool for our team." I love how easy it is to use. It covers all basis of what you need to accomplish in order to get a product shipped to the right location. I don't like that it automatically sends out an email right when you create an order. But then I figured out how to go about changing that in the setting menu. It saves us time when we are trying to ship our products all around the world. We can just create the label and take care of that part right in our office. Then all we need to do is to drop it off at the Post Office. "Quick, Handy Tool I'll Never Stop Using"
I've used ShipSation for years now. It's a handy tool that brings all of my orders together in a simple way that makes it's really quick for me to print all of my shipping labels and packing slips in bulk, with one simple click of a button. I've only experienced a few glitches in my years of using shipstation and it's either been my error or something that the ShipStation customer service team fixed right away. Try the trial, you won't regret it. I'm cheap but I will always pay to have ShipStation. ShipStation saves me easily 1 hour a day, if not more. Printing manual labels is not something I will ever do again. I also like that they offer discounted shipping rates. 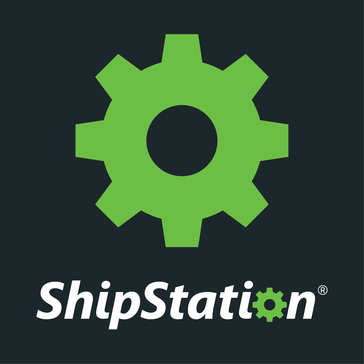 "ShipStation works well with Shopify platform "
Works well with Shopify batch imports, USPS and UPS. Leaves much to be desired in terms of customization. Annoying to have to log in every time and have to open ShipStation Connect so it will print to label printer. If you don’t use the Connect app, you have to save as a PDF and then print labels. Finding best rates between USPS and UPS. "Ease of use & data"
I like that it's reliable and consistent; I never experience break downs or slow internet connections. In all honesty, I hardly experience any problems. ShipStation is extremely easy to use and gets the job done. I was able to learn the system quickly because of the simple and organized layout. I love that I am able to provide great service for my customers because of this phenomenal system. It takes a little long to upload and refresh 'all stores' to get new orders to show up. I would recommend faster uploads for those new orders so that I can tag them for our warehouse. I would recommend this to any business who wants to improve their shipping department. I am solving cancels, returns, and creating new orders for customers. I am able to get the job done efficiently and quickly. Our customers are happy with our service! "Shipstation is one of my necessities!" I love how it organizes all my shops and shipping in one place. I couldn't do without it! The only thing I can think of that Shipstation could add is the ability to let me know when a customer is a repeat customer. Maybe a column for that so I can always see it and make sure to include a special note or gift to those customers. If you have multiple shops, this is the answer to your shipping needs seriously! Before I had Shipstation, I was copying and pasting addresses in to buy postage at USPS.com. This saves me HOURS of time and trouble by syncing and eliminates any mistakes. Keeping everything organized there also ensures I don't forget about orders in a less busy shop, or anything like that. It's a great product that makes it easy to ship orders from our ecommerce business. We like the ease of editing orders, we like that it verifies addresses and connects to our hardware, and we like its integration with Shopify. Support is pretty good too. We don't like that Shipstation isn't responsive to feature requests. A lot of users from the community have requested basic features and Shipstation hasn't been exactly open with their progress on building these features. While the functionality of Shipstation's automation feature is quite robust, it is surprisingly weak in its inability to auto split orders. We're trying to keep our orders organized and sorted for our warehouse and fulfillment operation, and it has provided a lot of benefits to our shipping and fulfillment staff. It's an easy software to learn, and our customer service staff use it too.